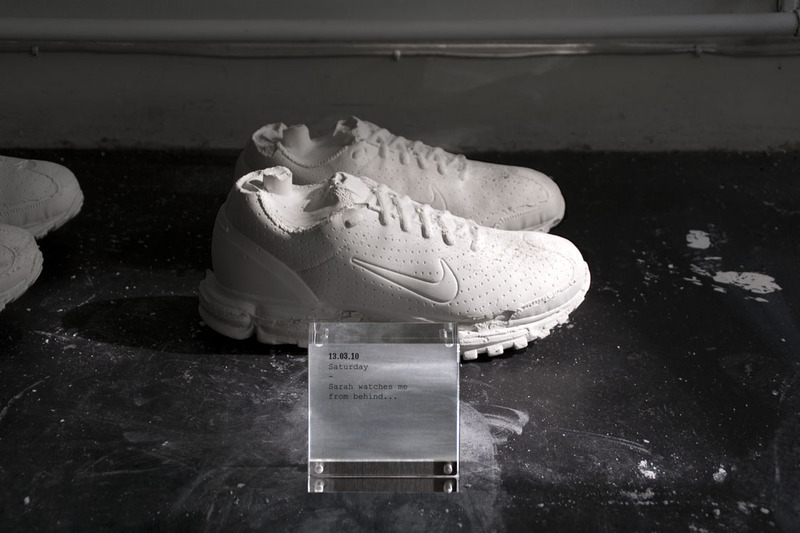 We have chosen to challenge the function of our pair of NIKE shoes by letting the shoes tell their “life stories” through an olfactory medium. 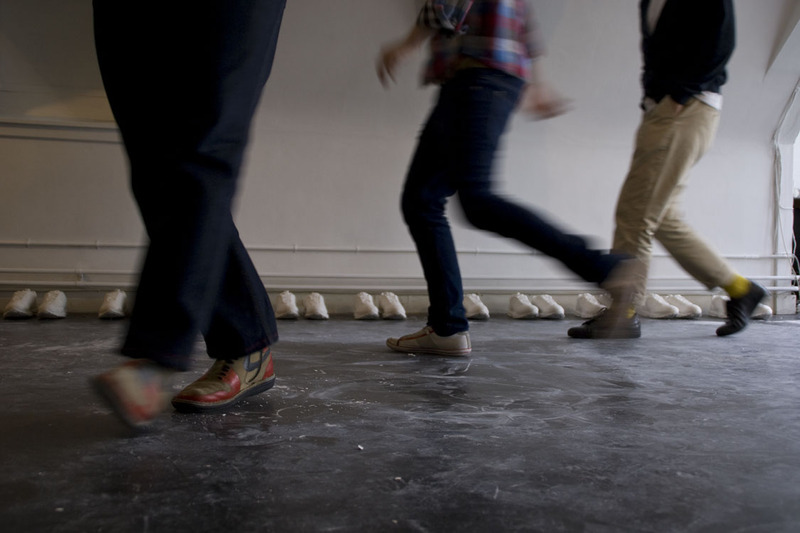 now expressed through the sense of smell. 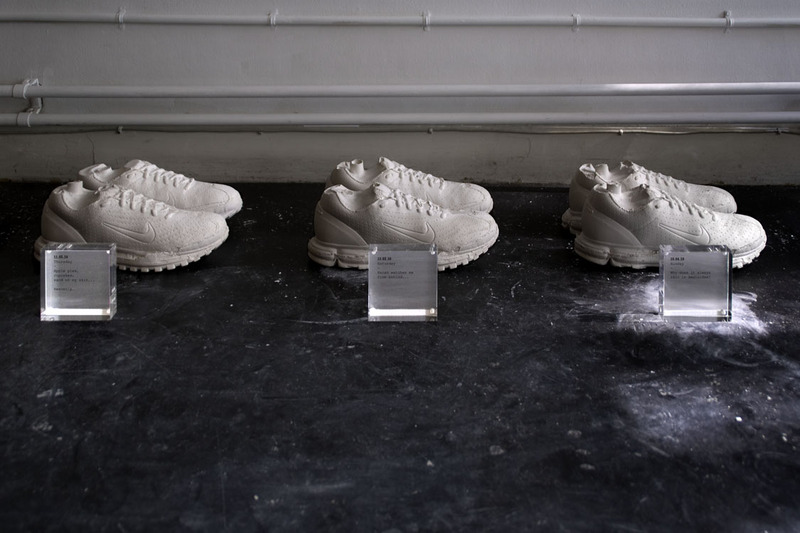 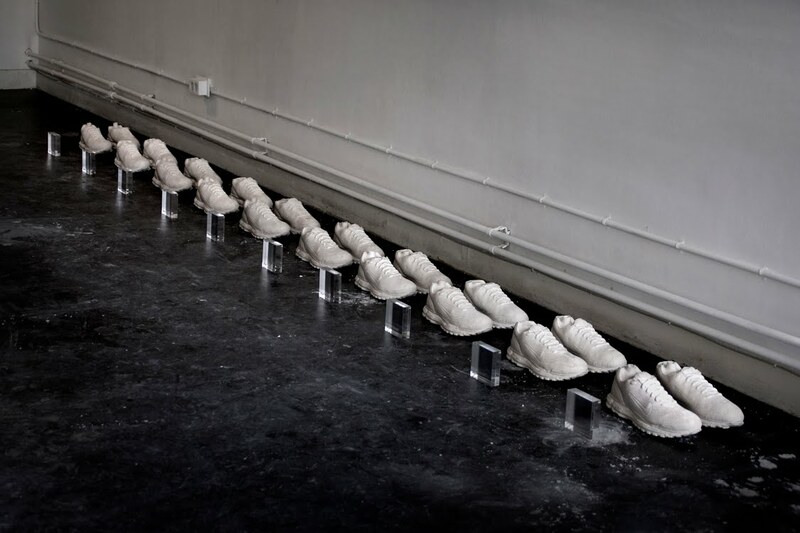 We made a silicon mould of our pair of NIKE shoes and cloned 10 pairs of plaster “ghosts”. 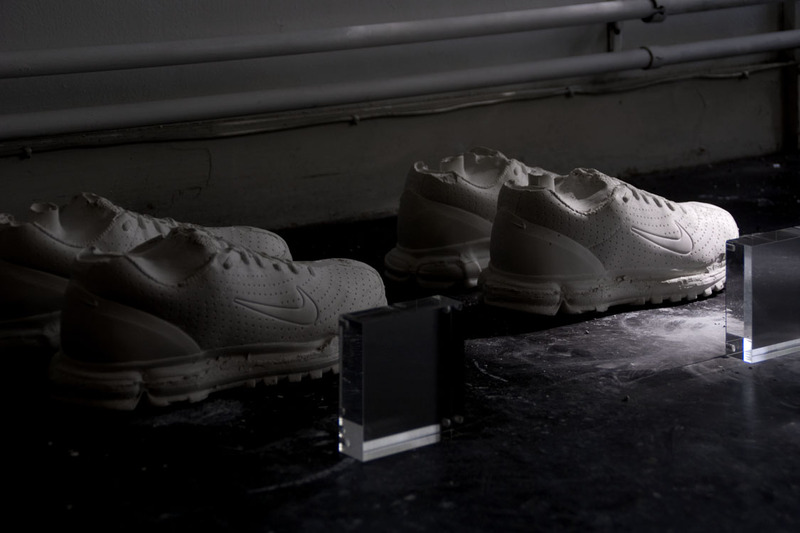 short description of the scent on the shoes providing the viewer (or sniffer) a clue of what scenario they are experiencing through the sense of smell.